Stephen Hawking’s fame was founded on the research he did on general relativity and black holes. But he often stepped outside his own field of research, using his recognition to highlight what he saw as the great challenges and existential threats for humanity in coming decades. His pronouncements drove headlines in the media, which sometimes proved controversial. Hawking was clearly troubled that we were putting all our eggs in one basket – that basket being Earth. 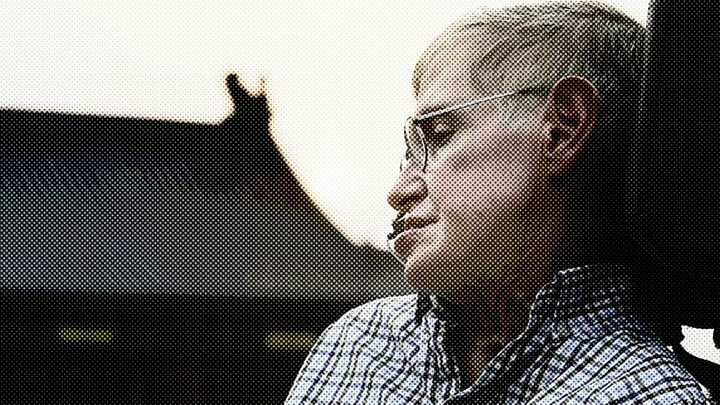 For decades, Hawking had been calling for humans to begin the process of permanently settling other planets. It made news headlines again and again. In line with his thoughts on the matter, Hawking also attached his name to a project researching technologies for interstellar travel – the Breakthrough Starshot initiative. In 2014, he told the BBC that “the development of full artificial intelligence could spell the end of the human race”. Hawking said the primitive forms of artificial intelligence developed so far had already proved very useful; indeed, the tech he used to communicate incorporated a basic form of AI. But Hawking feared the consequences of advanced forms of machine intelligence that could match or surpass humans. Some academics thought the comments drew on outdated science fiction tropes. Others, such as Prof Bradley Love, from UCL, agreed there were risks: “Clever AI will create tremendous wealth for society, but will leave many people without jobs,” he told The Conversation. The Cambridge physicist regarded global warming as one of the biggest threats to life on the planet. The physicist was particularly fearful of a so-called tipping point, where global warming would become irreversible. He also expressed concern about America’s decision to pull out of the Paris Agreement. There’s a whole field of science, known as Seti (The Search for Extra-Terrestrial Intelligence) dedicated to listening for signals from intelligent beings elsewhere in the Universe. But Hawking cautioned against trying to actively hail any alien civilisations that might be out there. In 2010, he told the Discovery Channel that aliens might simply raid Earth for resources and then move on. Should we broadcast our presence to aliens – or just listen out for them? The media attention gave him an unprecedented platform. But some in the scientific community were occasionally less enthusiastic about the resulting headlines than the journalists who wrote them. Indeed, I’ve been asked in the past why the British media seemed to hang on Hawking’s every word. Prof Sir Martin Rees, the Astronomer Royal, said: “He had robust common sense, and was ready to express forceful political opinions. But many would also argue that, beyond individual statements or headlines, Hawking had a unique ability to connect with the public. They would say that the “hype” this sometimes generated was an inevitable by-product of his household name status. Instead, we should focus on a greater good – his ability to bring science to the attention of people who might otherwise never have given it a second thought. It’s testament to his success as a communicator that the mourning for this champion of rational thinking extends far beyond the scientific community.